So Easy, yet Looks So Good! These blooms are a masterpiece. 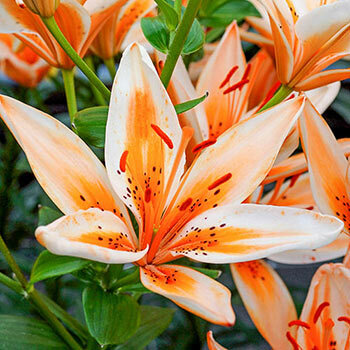 The petals look as if they were each painted in tangerine orange—an unusual color for lilies. 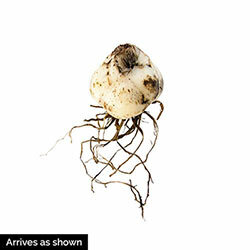 The top-quality bulbs are super hardy, so it's great for a pop of color even in northern gardens. Asiatic lilies like this are a gardeners dream. It's so incredibly easy to grow, yet the blooms are truly impressive. You'll want to show them off in a perennial border, but don't forget to bring some blooms indoors for stunning cut-flower bouquets. You can also play off the brilliant bloom color by planting it in a decorative pot with a complementary color. Orange Electric is a cinch to naturalize and perennialize. It's even decently drought tolerant!